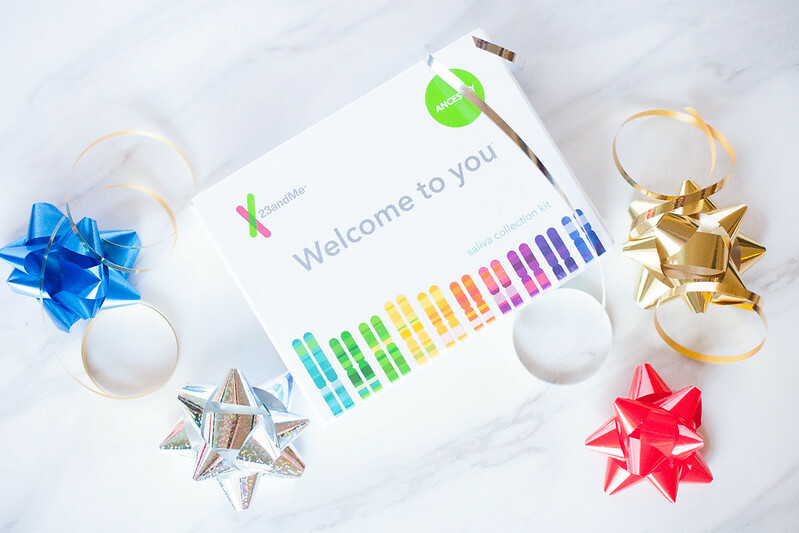 by gillian claire: Give the Gift of Ancestry with a DNA Kit! If you're anything like me, purchasing gifts for family members can be a little overwhelming! I always think that my sisters and my sons are easy to shop for but there are some family members, such as my mom and my husband that I find more difficult. It can be so hard to think of unique gift ideas for family members year after year! I was really excited when 23andMe reached out to see if I would like to share their DNA Ancestry Service on my blog as a unique gift option for the holidays! I have been hearing more and more about these ancestry kits lately and I think this would make such a perfect and memorable gift for family members who are hard to shop for! Not only does this make a fun and personal gift; it's something that the whole family can share in together to find out more of who they are and where they come from! These kits are super easy to use and come with step by step instructions. It's as easy as registering the kit online, sending in a saliva sample, (packaging included!) and then receiving an online report in 6-8 weeks of your results! 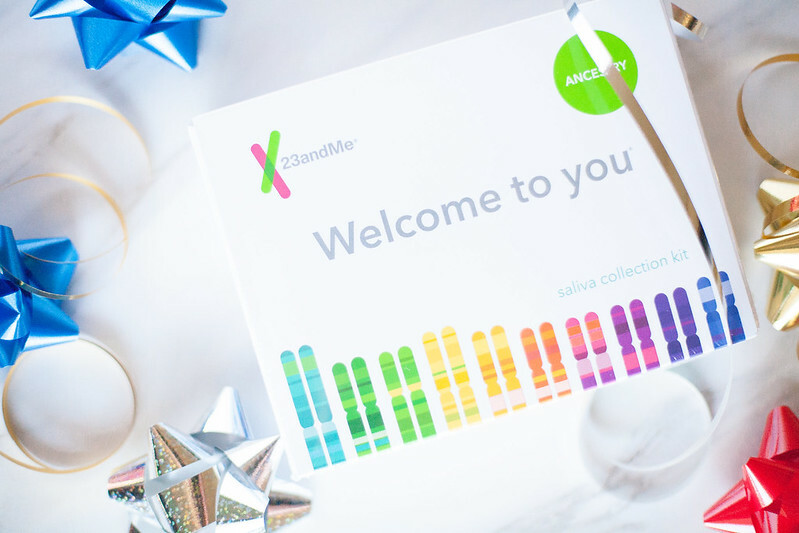 23andMe offers two different Personal Genetic Services: their Ancestry Service (shown in this post) as well as their Health + Ancestry Service. The Health + Ancestry Service provides insights on your genetic ancestry, traits, health and more. 23andMe analyzes the information extracted from your DNA into 75+ reports that can be accessed online and then shared with family and friends! I'm gifting my 23andMe Ancestry Service to my husband, Aaron, this year and I can't wait to see how much he enjoys learning more about his family history and sharing with his siblings and parents! This would be such a great gift for a spouse, parent or grandparent and something that I think your family will be talking about for years to come! 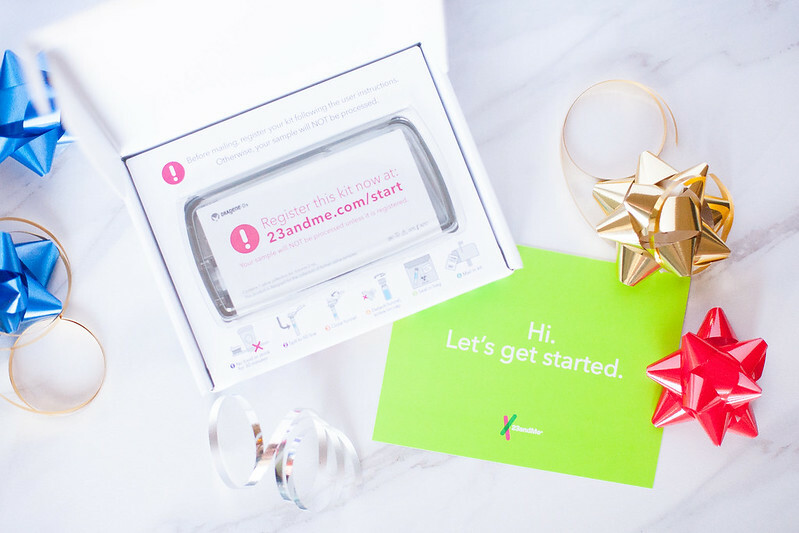 23andMe has special holiday offers going on between now and December 26th. Click here to check out the offers and cross off a few people on your gift giving list today! This sounds like such an interesting and revealing gift! So much to learn about your family history! This is so cool, I want one! That's pretty cool that they have the health part too, I didn't know that! Does this one make you spit or do you do a swab? I totally asked for this for Christmas this year! It looks so cool!